Just like a wedding band, the engagement ring is a physical symbol of a couple’s love and commitment to each other so it’s not unusual these days to see men wearing engagement rings. If you’re deciding whether to buy your fiancé an engagement ring check out our guide to mens engagement rings. While it has become more common for women to propose to their boyfriends, it is still quite rare, so men do not usually receive their engagement ring straight away. However, some grooms purchase their own ring when they buy their girlfriend’s, and some jewellers even do a good deal on men’s engagement rings bought at the same time as women’s as they are usually less expensive. Even if you do propose to your boyfriend it might be better not to get him a ring until you’ve asked him whether he actually wants to wear one. 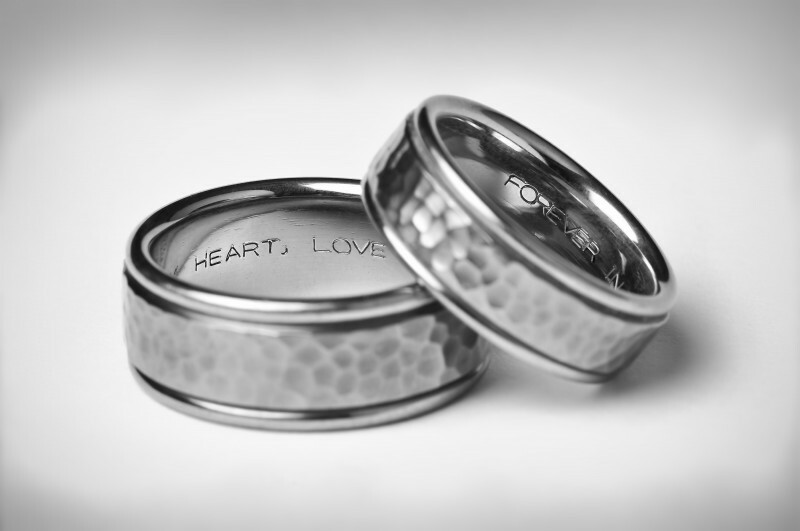 Usually, if the future bride wants to get her man a ring, they should choose the rings together soon after the proposal. A good quality watch, or a pair of cufflinks, could be a good choice if your partner doesn’t want to wear a ring. It may be that your groom doesn’t think it’s worthwhile to get a ring as he’s only going to replace it with a wedding band once you tie the knot and if that’s the case it’s a nice gesture to give him an alternative engagement gift that symbolises his newly betrothed status. You might be able to think of something different related to his interests or hobbies, but make sure it is something that will last as long as your engagement ring. Men are far less likely than women to wear two different style rings on the same finger buy you can buy ring sets where the two rings sit neatly together giving the appearance of one ring. Another alternative is to move the engagement ring to their right hand once they have their wedding band, or take it off completely and just wear it on special occasions. Usually men’s engagement rings are a simpler design than women’s, and don’t have a high setting. Engraving the inside of the ring with a special message, name, date, or symbol is a nice way to personalise an engagement ring while the outside remains simple. 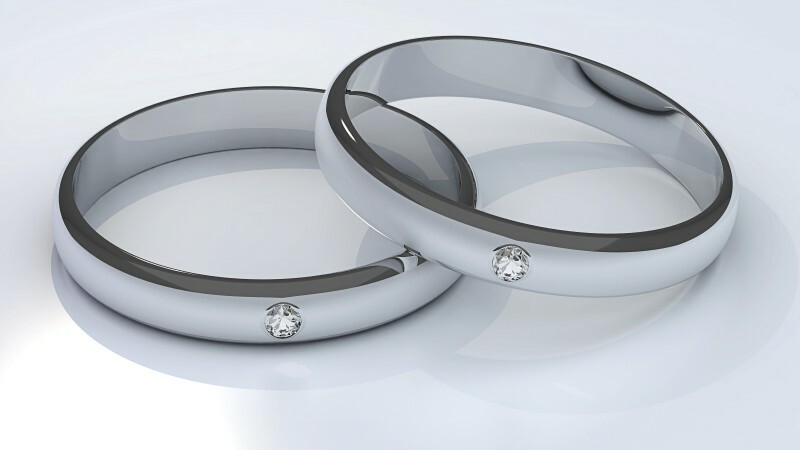 The majority of men choose a plain band, and two tone rings with two different coloured metals are especially popular. Although plain bands are the most popular style, there is a growing trend for grooms to include gem stones, especially diamonds, in their engagement rings. Stones are usually placed in a channel setting, so that they are flush with the band; a more masculine look than a higher setting. It is rare for a man’s engagement ring to have one large central gem; they may have several small jewels in a line, or if they just have one stone it is usually placed off centre, perhaps at the corner of a square ring.